At the beginning of another new year, it’s almost time to look ahead to Valentine’s Day. It’s not even a holiday my husband and I really do anything for each other for, but our kids are definitely very interested and love all the heart-related activities, crafts, and printables. 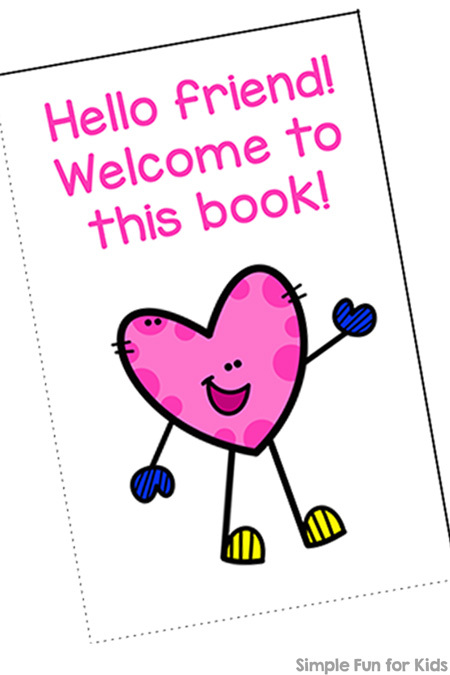 I actually made today’s mini folding book a few months ago when I came across the cute clip art, figuring it didn’t HAVE to be a Valentine’s thing only. But when she saw it, E actually complained that “It’s not even Valentine’s day!” 😉 Of course, she then read it, giggled, and said she loved it. So clearly, even for the kids, there’s a right and wrong time for everything seasonal, but I think NOW is the right time for this Heart Buds Emergent Reader Mini Folding Book! Like all of my mini folding books, this emergent reader is made from a single page with minimal cutting and no glueing/stapling. The book has a title page and a back cover in addition to 6 inside pages. 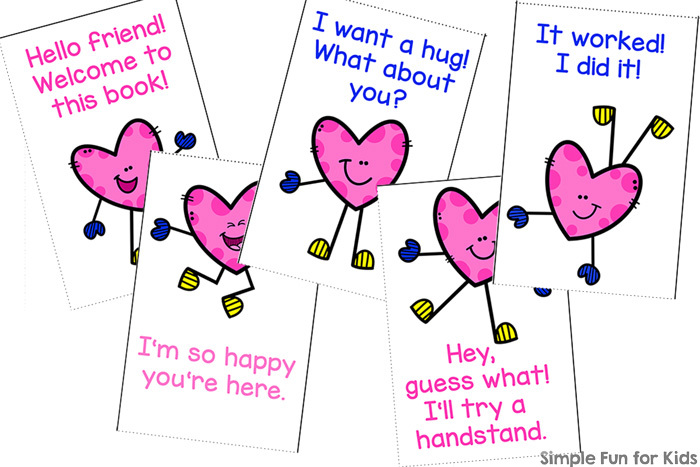 Each inside page has a picture of a heart bud character in various poses and one or two simple sentences. 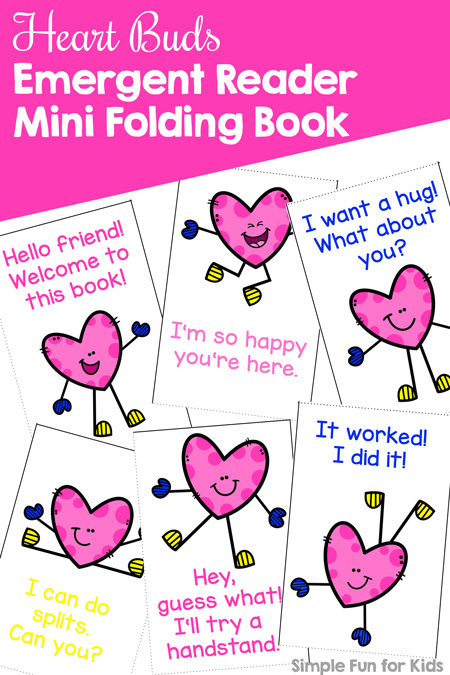 Download your Heart Buds Mini Folding Book! 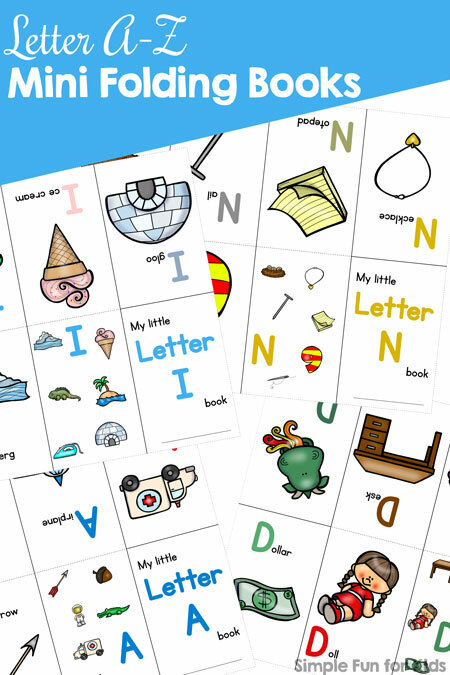 Do your kids like to read and learn with mini books?